Car trips with children can be challenging even in the best of times. Whether it’s a one hour drive to the shore, or a cross-country trip during the holidays, being cooped up in a car seems to bring out the worst in everyone. Traveling with kids, however, doesn’t have to be a complete nightmare from start to finish. The key is to prepare the essentials well ahead of time, including entertaining activities that work well in small, confined spaces. 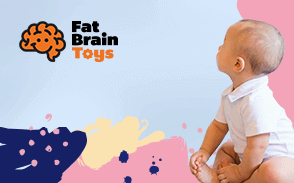 While we can’t guarantee a completely stress-free trip, the following tips should help to minimize tantrums and meltdowns. Pack according to your child’s needs. Packing for car trips can seem overwhelming, but it’s best to stick with the basics according to your child’s habits and developmental needs. Basic supplies for babies and toddlers include diapers, wipes, emergency change of clothes and resealable bags (for supplies as well as keeping dirty wipes and diapers until you can get to a rest stop). Older kids should have a change of clothes as well, especially is they’re prone to motion sickness. A stash of plastic shopping bags within easy reach can be helpful as well, since kids may have varying degrees of motion sickness depending on the terrain and altitude. You should also have a bag of essentials like sunscreen, mosquito repellent, hats, sweaters and jackets within easy reach since they may be needed at different times throughout the trip. Allow for “extras” that keep them calm. Have your kids to pick out a few things to make their trip more comfortable. Ideally, these are items that should help them settle down or fall asleep, so things like pillows, stuffed animals or music players with headphones would be ideal. It’s important that you pick a number and stick with it, since kids often want to take everything but the kitchen sink. You can gently remind them that there’s only so much room in the car, along with promises of the fun things they’ll see and do during their trip. Some parents try to keep the kids up on the premise that they’ll fall asleep in the car. However, a sufficient amount of sleep is in everyone’s best interest. In addition to being an important safety precaution for the driver, sufficient sleep is one of the best ways to minimize fights and tantrums between children. Remember — tired kids are cranky kids, and once they’re in full tantrum mode, they’ll do everything they can to not fall asleep. That leads to more fussing and fighting, which is incredibly stressful right at the beginning of a trip. That’s why we recommend putting your kids to bed at their normal time, maybe even a little earlier to ensure that they get a full night of sleep. Plan your seating arrangement ahead of time. Our natural instinct is to let kids pile in the car according to where they want to sit, but road trips require more planning. The first step is to evaluate your vehicle, and its ability to comfortably accommodate your family and all your belongings. 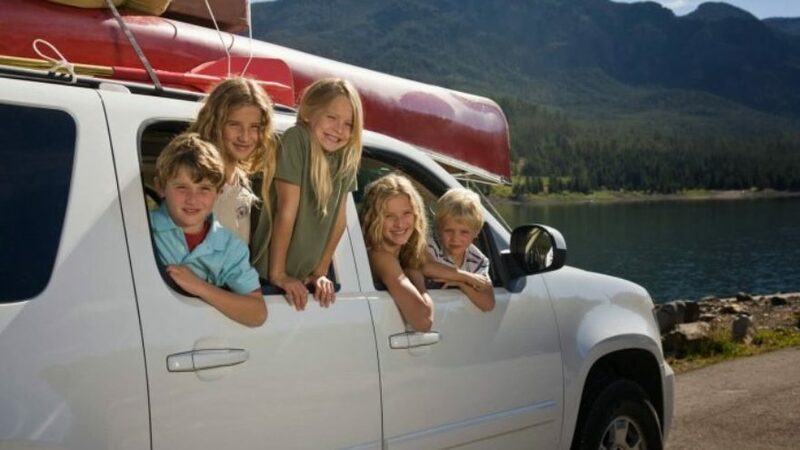 Many parents who don’t own a minivan, SUV or another type of roomy vehicle rent one specifically for car trips, which we highly recommend if you have multiple children. In addition to more room for luggage and gear, more space between each kid allows them room to stretch, play games or watch movies without the other one invading their personal space. Believe it or not, kids are at their hungriest when they’re forced to sit for long periods of time. That’s why it’s important to bring along plenty of snacks and drinks such as pretzels, granola bars, Cheerios and bagels. These foods travel well since they stay fresh without refrigeration. They can also be easily packed in ziploc bags and tucked into purses or seat back organizers. As for drinks, juice boxes are ideal for older kids, while sippy cups are highly recommended for toddlers. We also recommend dry fruits, rather than fresh fruit for younger kids to help minimize messy situations. If you don’t have a built-in DVD player, a portable DVD player, laptop or tablet can provide hours of easy entertainment for your kids. Audio books are another great idea, especially if you’re bringing along a tablet. In addition, there are lots of non-techie entertainment options such as sticker books, magnetic storyboards and travel versions of popular board games like Connect 4 and Let’s Go Fishin’. Older kids may also be interested in keeping a travel journal for capturing memories of the family trip. A ziploc bag with a notebook, washable crayons and markers, glue stick and double sided tape can help your child organize brochures, ticket stubs and other mementos from the trip. Sitting still for any real stretch of time is incredibly challenging for toddlers and younger kids, even with a car full of entertaining activities. Older kids may be able to sit longer, but it’s not really healthy for them, or for you, to sit for several hours at a time. The great thing about highways is the proliferation of rest stops. Pulling over to stretch your legs and letting your kids run around for even a few minutes can make a world of difference when they get back in the car. If at all possible, try to plan your route around parks, playgrounds and roadside attractions, which offer kids something to see and do, beyond taking bathroom breaks. If at all possible, sync your driving time with your daily routine. For example, leave right around lunch time and let your kids eat in the car. Once they’re full, they’re more likely to fall asleep, allowing you to log in miles in peace. Another option is to leave right around bedtime while they’re nice and cozy in their pajamas. As they sleep through the night, you’ll be able to make significant headway into your trip. Driving through the night, however, is not recommended for babies and toddlers who have a habit of waking up during the night. You should also consider your own need for sleep during the night hours. If you’re the type who needs 8 solid hours of sleep, starting your trip at night is probably a bad idea. This should seem obvious, but one adult is often assigned the duty of “driver”, while the other one is the “entertainer”. While parents may assume these roles in their day-to-day lives, car traveling is much more tiring than ordinary driving. We recommend that parents switch driving duties every few hours, so that one parent is in the driver’s seat, while the other one sits in the back with the children. As mentioned before, a minivan or SUV is ideal since it gives the “entertainer” parent enough room to sit with the kids. Along with helping them with various activities, the adult in the back can fend off potential meltdowns by handing out snacks, and heading off fights over toys and games. At the end of the day, you have to accept that things can go wrong. There will be moments when your kids are unreceptive, grumpy or careless, just because. There may be unanticipated spills or accidents even if you’ve planned ahead with disposable seat covers and regular bathroom breaks.